The graves are opening and the evil dead are crawling out. Taste the delicious darkness. This is no ordinary book. It’s a ghost-hunter’s guide to what lurks beyond death. Prise open the coffin-shaped cover and prepare to be terrified. Thirsty vampires, cursed mummies, headless horsemen, munching zombies. Vampires hiding behind gravestones; werewolves howling at the moon. Dare you join them on a spooky midnight ramble – or will you dive back beneath the duvet? Embrace the darkness or turn away. The choice is up to you. 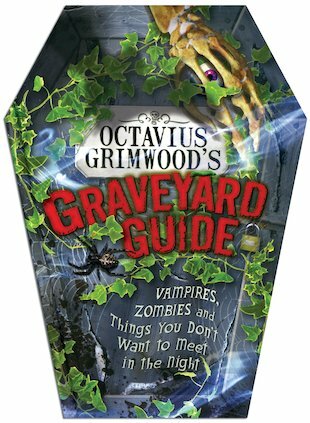 i dont see why you need a graveyard guide so i brought it to find out. found the book a little boring!